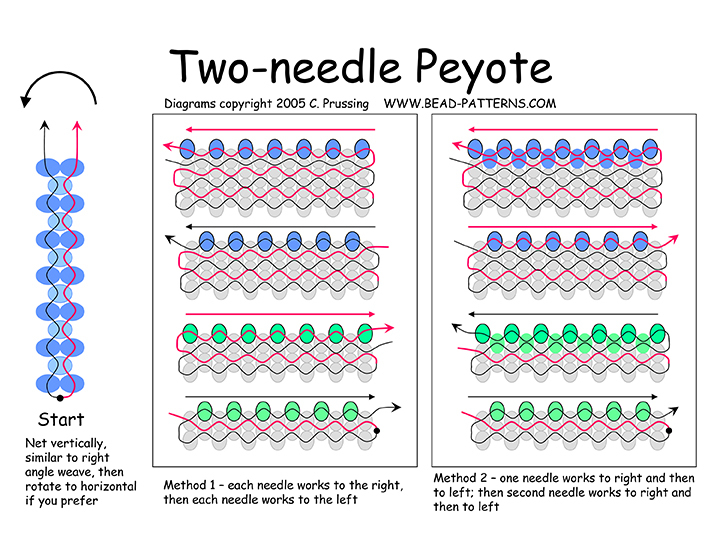 Diagrams for the delightfully easy two-needle method of creating the first 3 rows of peyote stitch. For subsequent rows, one needle at a time is used. Two working methods are diagrammed. No complicated row-end step-up maneuvers, nice neat edges!